A view days ago we wrote that Apple is working on iOS 6.1.2 to fix the lock screen passcode issue and Exchange bug and that are affecting iOS 6.1 users. 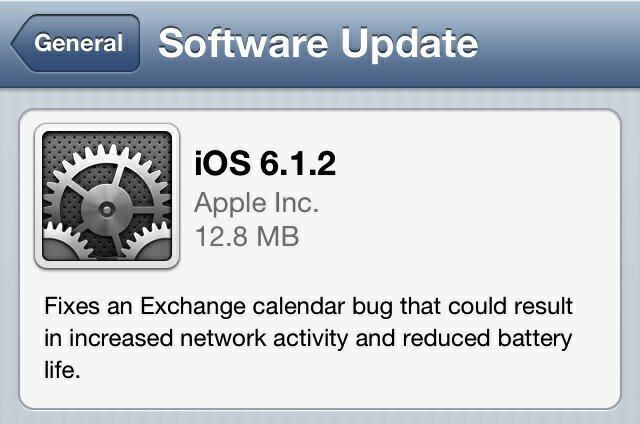 Now the update is available, the new iOS does fixes the Exchange calendar bug, but does not fix the passcode bug. The update is 12.8MB and can be downloaded via the Over-The-Air Software Update on your iOS device.